Providing your home with a thorough clean is the easiest and most effective way of keeping not only your carpets / flooring free from a range of dirt, dust and debris – but also other areas of your home, including your mattresses, upholstery and those hard to reach areas such as picture rails. To achieve such a thorough clean, it’s important to make sure along with having a fully functioning vacuum cleaner you have the six vacuum cleaner tools listed below. Each of these tools will help you to clean various areas of your home effectively and easily. One of the most commonly used tools with a vacuum cleaner is the floor tool, because it makes switching between carpets and hard floors – particularly wooden and laminate floors – a breeze, enabling you to provide a deep clean of your home. On many floor tools, you’ll find two sets of bristles which allow you to remove large debris from your floor whilst preventing suction from leaking. Your skirting boards, the top of your picture rails and those tight corners in your home are subject to a range of dirt and dust – which can be difficult to remove without the right tool for your vacuum cleaner. With a crevice tool, such awkward spaces are easy to get to, particularly if you use a flexi-crevice tool which makes it even easier to get into those tight and difficult areas, without suffering from a loss of suction. The average mattress can last anywhere between 5 and 10 years, but to ensure it has a long life it is important to take care of it – and this includes regularly vacuuming your mattress to keep it clean. By taking the time, whenever you change your sheets, to vacuum both sides of your mattress you will remove the build up of dust and dead skin cells which inevitably build up. You will also reduce the risk of bedbugs setting up home in your mattress too. The easiest way to clean your mattress is with a mattress tool which includes lint pickers on the front and back. These pickers gather the dirt, hairs and other fibres which have built up on your mattress, roll them into a ball and allow them to be sucked up into the vacuum. The angle of the tool makes it easy to push it across not only the mattress but also fabrics and carpets, whilst the angle also makes sure suction it evenly distributed across the tool. 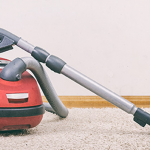 When it comes to reducing allergens from your home, your vacuuming shouldn’t stop with the floor – it should also extend to the upholstery within your home, particularly as dirt and allergens can harbour away on such surfaces. To easily lift away dirt from such areas, the upholstery vacuum tool is perfect. With their wide thread catchers hair and other dirt is easily caught and sucked up into the vacuum, providing an effective and thorough clean of furniture, curtains and cushions. Chances are it has been awhile since you last cleaned behind your radiators. In fact, we would bet the last time you cleaned behind a radiator was before decorating due to the radiator being removed – meaning behind your radiators is a build up dirt and dust. With a radiator tool for your vacuum cleaner though, the build up of dirt and dust behind the radiators can be a thing of the past, as such a tool is perfect for cleaning in narrow spaces whilst the bristles make the tool perfect for cleaning dust from vents, fridge coils and even decorative vases – meaning your home really can be dust free. Pet hair can be difficult to remove from the home, often getting stuck in the fibres on your carpets, furniture and clothing. Removing pet hair from wooden floors is also difficult as the air from your vacuum blows it around the home. But there’s no reason why removing pet hair from your home needs to be difficult when you have a pet grooming tool for your vacuum cleaner, particularly the Dyson Groom Tool. Such a tool makes light work of removing hair directly from your dog, with the collected hair being sucked straight into the vacuum cleaner. The tool has also been engineered to remove dead skin cells from your pets, helping to remove allergens from your home. As an added benefit of the Dyson Pet groom Tool, with little more than your thumb you can adjust the bristle length, switch between groom, self-clean and self-store modes – so whether you have a long-haired or medium-haired pet, prevent their hair from cluttering your carpets with this tool. By kitting out your vacuum cleaner with the right accessories and tools, you can make the cleaning of your home a breeze, ensuring all areas – including those hard to reach ones such as the tight corners, are clean – allowing you to relax and unwind after a hard day at work. 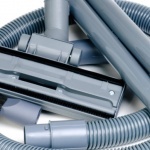 Universal Vacuum Tools Universal vacuum tools are an inexpensive alternative to genuine tools, or a lifesaver if the tool for your vacuum is unavailable.